There’s no doubt, that if you’re interested in overclocking your graphics card, you would benefit from cooler GPU temperatures. Well, this nifty bracket was successful in reducing the heat of the GPU up to 40%. However, I am concerned about the uncooled area of the card where the VRMs are located. If there is ample airflow inside your case, it certainly shouldn’t be a problem. That said, I could see a slight redesign to the bracket channelling air from the included fan, back towards the VRMs. In fact, if the Bracket were more like a shroud, one smaller fan could do both the Memory (at the front) and the VRMs (at the rear). Of course, in cases where the AIO Rad/Fan are located in front of the Graphics Card, the use of a fan on the bracket may not be required at all. All in all, the idea of using a standard AIO CPU Cooler on your GPU is excellent one. Note: Even though the bracket had good universal fitment, I feel the addition of a set of slightly longer screws would have increased coverage of Graphics Cards with thicker GPU Cores. Great fitment coverage for many GPUs and AIO Coolers. Helped reduce GPU Temperatures by up to 40%. Bracket design leaves room for routing AIO Cooler Lines. Longer screws not included for use on thicker GPU Cores. Self adhesive foam washers deform when tightened down. Bracket has tight spacing for 6/8 PCIe Power Plugs. It is an interesting solution but as you pointed out, you still need to have the fan blowing onto the now exposed VRMs and other ICs that heat up. 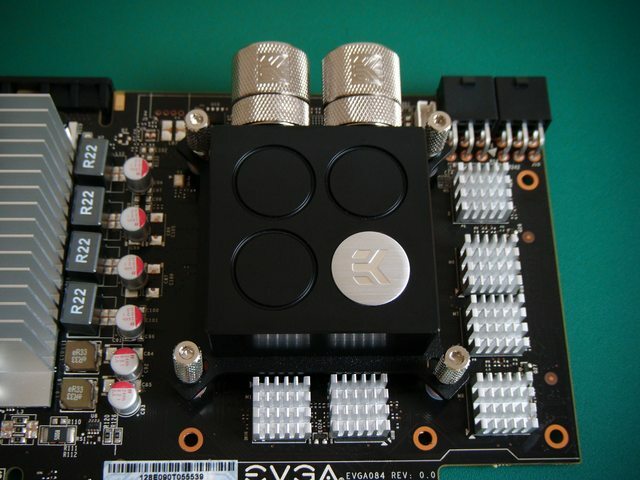 A nice bonus addition to this kit would have been little heatsinks with pre-stick thermal pads you see people add to cards when they use those universal GPU water block solutions. Nice review once again Greg! Great suggestion Darth…. and Thank you for the review Greg! Nice review Greg. Graphs, yay! That’s exactly what I meant 23RO. I think anyone that goes with the G10 would be wise to get some of these little heatsinks as well to keep all the components cooled off. Unfortunately, the R22 VRMs might be the problem. On some GPUs they’re on the other end of the card (away from the fan). Without some air blowing accross them, they may run hot. “Universal” is a tough nut to crack, I do think. Would this work on an NVidia GT 240? I’m not sure. It’s not in the list. It’s unlikely as the GPU Core on a GT 240 is so small and needs little cooling. According to this product’s page the GT240 has 43mm holes. 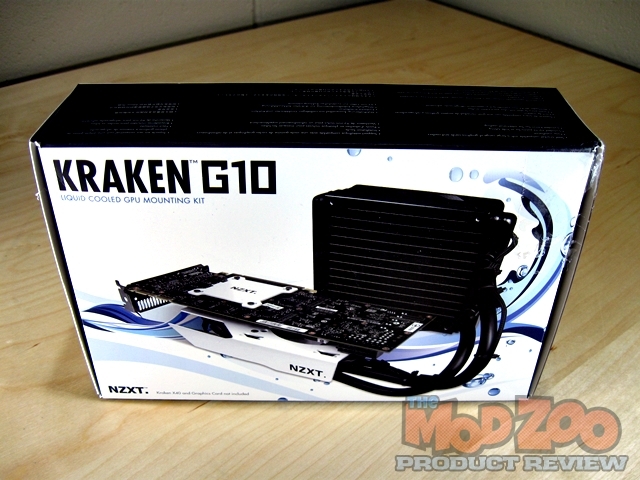 http://www.deepcool-us.com/product/dcoolingaccessory/vga/2013-12/45_612.shtml Same as HD6770, which is listed in the NZXT cooler spec sheet. However this page says 53mm holes – http://www.deepcool-us.com/product/dcoolingaccessory/vga/2013-12/45_608.shtml I assume this is due to non-reference cards (pretty common on lower end cards) I’m listing Deepcool pages here because they’re the only company I know that lists mounting holes! I would have guessed it was because it was an inexpensive card that may not O’C too much. Especially since you would have to spend $30 for the G10 and another $60+ for the Cooler. Why not sell the GT 240 and take the $90+ and put it toward a higher end card? NZXT has issued a statement that they are making available longer screws and will send them out upon request. I assume they will include them in newer revisions of the Bracket. Good to hear! The kind of community support we like to see.